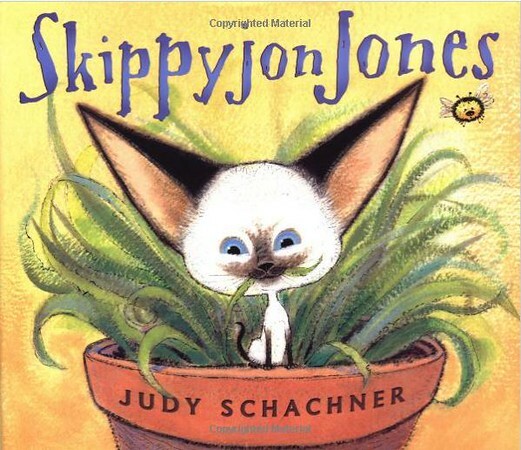 Skippyjon Jones is one of my favorite kids’ books of all time. I have read it aloud to my classes every year! This year, with sixth grade, I am using it to teach them narrative writing strategies. (all pictures are from Amazon.com). I start off by reading the story aloud. I have them gather around, just like in elementary school. They totally get into it. I do my best to read with a Spanish accent. After the story, we talk about what the author did to make the story entertaining. We brainstorm a list together. They don’t always know the names of the strategies, but they do a pretty good job of explaining why it was a good story. Then, I pass out a list of strategies I want them to focus on. In the next few days, we do a mini lesson on one or two strategies a day before our writer’s workshop time. Then, I ask them to try as many strategies as they can in their stories. For example, on Thursday, I taught them to write similes using a smile map, and then they tried adding a simile to the story they’re currently working on. A major shift in Common Core is moving from personal narratives to more research-based narratives. However, I still start with personal narratives, as it’s easier for them to learn to write narrative essays this way. They learn the basic narrative techniques (beginning, end, following a narrative sequence, transitions, descriptive strategies, etc.). Next, we’ll do a historical fiction narrative, which is more like what they’ll need to write on their Common Core state assessment. From there, it’s pretty easy to get them to write any type of essay with a narrative structure. 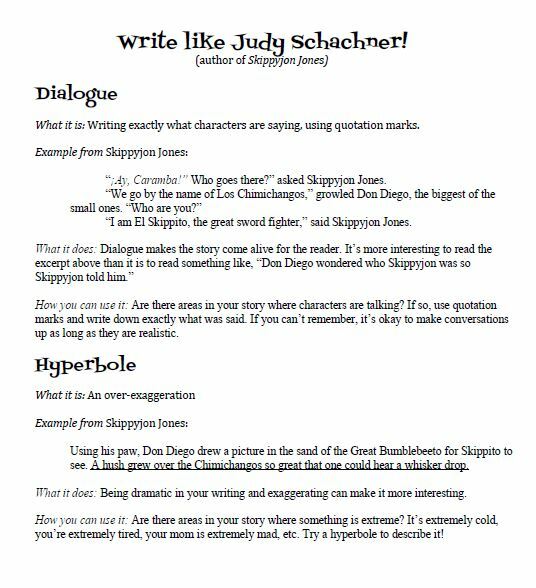 You can view my entire Skippyjon Jones strategies handout here: Write Like Judy Schachner! This is great! We have one SJJ book and my 3 yr old loves it! Luckily I minored in Spanish (and spent a year in Spain) so even though I’ve forgotten most of what I learned, I can do a mean Spanish accent. The plot is ludicrous, but it is very fun to read! 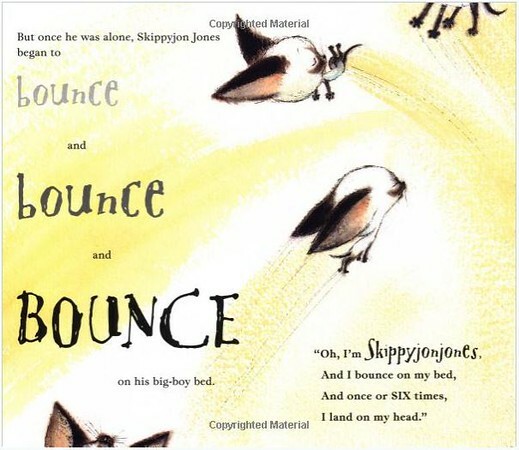 I think we still have every one of the Skippyjon Jones books – love them!! Our schools our transitioning into Common Core, too. The language arts seems to be going better than the math – it has been rough – my tutoring has gone up this year!! Kim recently posted..Time for a Change! The math is much worse. Good writing is good writing; that is not going to change much. The biggest difference is that students are expected to write more using sources and to do more research. The exact type of essays has changed a little, but like I said, good writing is good writing. It wasn’t a terrible change. I feel bad for the math teachers. They are basically bumping everything down a grade level at my school.